My Horsehead Bonus feature has stopped working properly, after doing fine for many years. It gets up to the "BO" and then when an "N" is hit, the "N" does not appear in the bonus feature. I really don't know how to work on a Bonus feature, so I would appreciate any help I could get. I would be glad to supply any photos that might help. When I click on the link I get a messagae "No videos were found". Nick wrote: When I click on the link I get a messagae "No videos were found". Oops, had the wrong link. That link works now. Thanks so much for your help!!!! I LOVE this forum!!!! Thank you so much. I watched the video on the BONUS feature and it took me less than 5 minutes to fix the problem. Now it works perfectly!!! 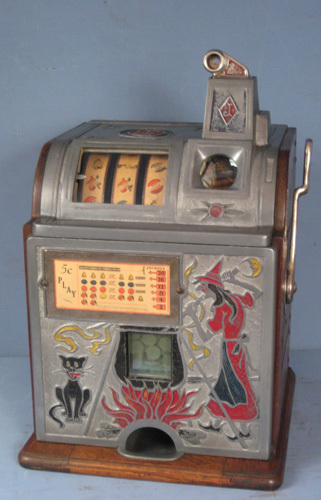 I have about 50 slot machines and over the years I have learned how to keep most of the running smoothly, however every now and again I am stumped. I live where there no one nearby to go to for help, so this forum is a lifesaver for me!